We hope you enjoy these songs. Lyrics for each song are available by clicking on the song titles below. If you have any questions or need anything further, please feel free to contact me. I Choose. I recently wrote this song for Planned Parenthood, an organization that has provided affordable reproductive health care for 2.4 million people across the county. They have been under attack around the country. Click here to read about the latest strategy to deny women our legally protected choice. The Caregivers. I wrote this song in 1993. The General public raised an outcry about President Clinton’s nomination for attorney-general, Zoe Baird, because she had hired an illegal nanny (for under minimum wage.) Baird’s nomination was withdrawn. But while Baird paid her fine and returned to her corporate career, Lillian Cordero, the nanny, was returned to Peru along with her husband to an uncertain future. At the end of the song, I inserted “All the Pretty Little Horses”…. a traditional African-American lullaby thought to go back to slavery times, when slave women had to leave their own children in the fields while they went to the “big house” to care for the children of the owners. Bent Over Woman. This song, sung by my daughter, Jen, comes from the “Daughters of Lilith”, a multi-media production based on my imagined stories of Biblical women. This one is based on Luke 13: 10-13. Everybody’s Gotta Be Somewhere. I composed this first in 1994, while living in Berkeley. There, as in so many cities, laws were being passed to remove the homeless from sight, without really dealing with the problem. Now in Bellingham where I live, I see more creative advocacy happening for the homeless. At the same time, I’ve never seen as many homeless people on our streets. Mana’s Got a Tattoo. My imagination was stirred watching a young, tattooed woman walking down the street with what I assumed was a small daughter in hand. When He Fell. I wrote the words to this song in 2008, when our dear friend, musician Tom Hunter, died. I just completed the tune. His last words to us: Keep it going. Cheap. Twelve miners died in January, 2006, at the Sago mine in West Virginia. The mine had been the subject of 46 citations from the UW Mine Safety and Health Administration – 18 considered “serious and substantial”. But the song also addresses what happens to a community when Walmart moves in. And now the greatest threat of all to our local stores is the online giant, Amazon. Shop local! Honey, Don’t You Want This Tryke? (Or, Never Take Your Mother to the Storage Unit When You’re Downsizing.) OK, this one is personal! It happened kind of this way. My family can tell you I have a hard time letting go of memorabilia. The Glass Ceiling. This, from Wikipedia, defines the terms - and the inspiration - for the song. I can add that the wage gap as of 2018, according to the Institute for Women’s Policy and Research, is $0.80 on the dollar for women to their male counterparts. For black and Hispanic women, the gap is considerably wider. More below…. “The United States Federal Glass Ceiling Commission defines the glass ceiling as "the unseen, yet un-breachable barrier that keeps minorities and women from rising to the upper rungs of the corporate ladder, regardless of their qualifications or achievements." Bless My Breasts. No need for notes on this one….the title says it all. Me Too. The “#Me Too” movement gained momentum in October of 2017, as women began to share their stories of sexual harassment and sexual assault. I hardly know a woman who does not have a story to tell. Click here to get to a link, for survivors and advocates. Mother of All Bombs. In April of 2017, the US dropped the largest conventional bomb in its arsenal in Afghanistan. Nicknamed the “Mother of All Bombs”, it killed 92 people and had a blast range of a mile in every direction. This song was my response. You Are Robbing Us Blind. After Donald Trump’s inauguration, we all had a lot to be angry about! This song was inspired, in part, by the bravery and integrity of the Sioux tribe and their supporters, non-violently protesting the Dakota Access Pipeline at Standing Rock. Impossible Things. A love song for my dear husband Scott. And I even convinced him to sing on it! I’ve always loved his voice. Pipeline. 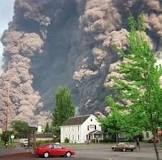 I remember so well the day the Olympic Pipeline exploded in our town of Bellingham, Washington. It killed three young boys - Liam Gordon Wood, 18, who was fly fishing in Whatcom Creek when the rupture occurred, and Wade King and Stephen Tsiorvas, both 10 years old, who were also playing in the area. The mixture of terror, outrage, and sadness that was evoked by this preventable catastrophe was overwhelming. In the US, for natural gas alone, the Pipeline and Hazardous Materials Safety Administration has detailed more than 3,200 accidents deemed “serious or significant” since 1987. We must do better! Nobody Came. What was experienced with Hurricane Maria in Puerto Rico, where 2,975 people died, is mirrored in this song that I wrote after Hurricane Katrina in 2005, with a death toll of 1,833. In both instances, the response to communities that our government seemed to consider less important was horrendously inadequate. As our climate changes, bringing more and more deadly weather events, who receives help and who doesn’t has become a major concern. We Are the Rainbow Sign. My husband, Scott, attended one of the first “Climate Project” events hosted by Al Gore in 2006. What Scott shared, through his presentations and reading, inspired this song. It has never been more true. The Last Chinaman. This song and the next were written in 2018 for the “Opening Doors: From Prejudice to Inclusion” project. These songs reflect so much of the history of exclusion in Bellingham: Expulsions of Chinese, Sikhs, Japanese, Native-Americans and African-Americans. A cross burned at a migrant camp. The owner of a gay bar beaten up three times. Hate crimes still erupt all too frequently in our town. Never Again. Another song written for the “Opening Doors” project, and first sung at the dedication of the Arch of Reconciliation and Healing, installed on the grounds of the Bellingham Public Library in 2018. I loved seeing a circle of people from such diverse backgrounds, dancing to this song. Til Our Beauty Saves the World. On the afternoon of February 14, 2018, at Marjory Stoneman Douglas High School in Parkland, Florida, a shooter entered the school. When it was over 17 students and staff were dead, and 17 injured. What happened next inspired the world. Students such as Emma Gonzalez and David Hogg began organizing. On March 24th, the March for Our Lives was held, led by students around the country, advocating common sense gun control. This song is for them.